We dissect a typical auto body shop warranty to discover the truth about what you really get in a warranty. At AutoBody-Review.com we often preach that one of the crucial things to look for when searching for a quality auto body repair shop is a written lifetime guaranty. But with time all cars age, paint fades, chips, and dulls, and sheet metal rusts (at least if you live in a climate that gets snow or salt water). If this weren’t the case, than there would be no reason to cosmetically restore vintage cars as they would all look like they just rolled off the assembly line. So how is it possible to warranty an auto body repair for the lifetime of the vehicle? Note: Coverage ends when ownership is transferred. The average age of personal vehicles on the road today is almost 12 years which is significant considering that even in the 1980’s most people traded their cars in once they hit around 75,000 miles. Even fleet vehicles like police cars were retired when they hit the magic “age” of 78,000 miles. When a body shop is warrantying the car for life, technically they are on the hook if you keep the car for thirty more years but the likelihood is so minimal that the risk is negligible. Most body shops know that your car will be traded in sometime within the average twelve-year lifespan or less. Usually much less than twelve years. Note: Your auto body work isn’t warrantied for the lifetime of the car, just the lifespan of your remaining ownership. Your car might receive other damage at some point. If you hang on to your car long enough, it is going to get dings, scratches and environmental fallout. All of these will void the warranty on the paint. So these also mitigate the risks of having to repair a peeling paint job ten years after the body work was done. The paint manufacturer typically warranties the paint job for the shop. It is good business for the paint companies to do anything in their power to help body shops sell more repair jobs. So standing behind the quality of the paint job is an easy way to put customers minds at ease. Even if you don’t trust that your body shop will repaint a failed paint job in five years, just knowing that PPG or BASF or any of the other paint manufacturers will stand behind the paint is some valuable peace of mind for a car owner. Lets take a look at a typical auto body shop repair warranty: (this is an actual auto body shop written warranty, only the shop name has been changed). 1. Peeling or delamination of the topcoat and/or other layers of paint. 3. Loss of gloss caused by cracking, checking and hazing. 4. Any paint failure caused by proven defective PPG automotive products which are covered by this guarantee. So this is the basic paint product guaranty. The first three lines spell out typical faulty automotive paint job sources. The fourth line however contains the fine print: “paint failure caused by proven defective PPG products”. In order to repair the damage, you have to be able to prove that the paint product is at fault. This is not an easy thing to do. 1. Hazing, chalking or loss of gloss caused by improper care, abrasive polishes, cleaning agents or heavy duty pressure washing. 2. Paint deterioration caused by abuse, accidents, acid rain, chemical fallout or other acts of nature. 3. Accidents, scratches, chips or stone bruises due to normal vehicle us. 4. Custom finishes, exotic finishes or any finish other than standard refinish products. 5. Finishes on vehicles used for commercial or competitive purposes. 6. Failures resulting from product misuse or abuse. 7. Repairs done over previously refinished areas unless stripped to bare metal. 8. Claims presented without proper guarantee documentation. 9. Failures on finishes containing non-PPG certified collision repair centers. 10. Failures on finishes performed by PPG certified refinishers who have allowed their certification to expire. Line item 1 lets the paint company and the body shop off the hook if they can claim that you did not take proper care of your car’s finish. Heavy dusty pressure washing? That just ruled out every gas station car wash you ever took your car through. Line item 2 takes environmental fallout into consideration and line item 3 lets shops off the hook for other damages like dents chips and scratches which is highly likely to occur naturally. Line 5 indemnifies any fleet of commercial work of the vehicle so if your car or truck is used by your business the warranty is void. So you can see that the longer you own your vehicle, the more opportunities occur for your warranty to become unenforceable, and void. The warranty is really in place to protect your car shortly after it was repaired before most of these other events can happen. METALWORK: Brand X’s Collision Repair provides a Lifetime Written Warranty for as long as you own the vehicle against defective workmanship to include welding and the application of materials utilized in making collision repairs against cracking, flaking, pitting, or deterioration. The Shop will, at its sole option, repair and re-paint any metalwork warranted hereby. 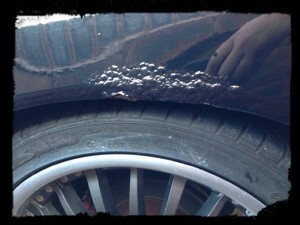 So here is where the real protection is for you the auto body shop customer. Let’s say that two years down the road a bad weld breaks and causes damage from within the repaired panel. This sections covers you for as long as you own the vehicle. PAINTING, STRIPES AND DECALS: Brand X Collision Repair provides a Lifetime Written Warranty for as long as you own the vehicle on painting-related priming and painting work against solvent blistering, peeling, hazing, and excessive loss of pigmentation; and, a Lifetime Written Warranty for as long as you own the vehicle on the application and adhesion of decorative stripes and decals, excluding defects which are caused by extreme environmental conditions to which the vehicle may be exposed. The Shop will, at its sole option, re-prime, re-paint, re-stripe, or re-decal the specific section or sections of the vehicle warranted hereby. Paint Warranty is valid only when paint is applied over original factory finishes that are free of defect. This section has a hidden caveat in there- “excluding defects which are caused by extreme environmental conditions”. This could mean heat, snow, acid rain, sun exposure, etc. So ten years from now if your stripes are peeling, it is going to be difficult to get this repair redone under warranty. MECHANICAL REPAIRS: Brand X Collision Repair provides a Lifetime Written Warranty for as long as you own the vehicle on all mechanical repairs pertaining directly to original collision damage, excluding suspension, air conditioning or other electrical assemblies or components. The Shop will, at its sole option, re-repair any mechanical assembly or component warranted hereby. Almost all auto collisions require some form of mechanical work. This could be replacing a broken radiator, re installing suspension components, wheels tires brakes, exhaust etc. It also includes alignments. However the caveat here excludes most of these items including suspensions, electrical, and AC components. So what “mechanical” coverage is left? Not much really. PARTS: Brand X Collision Repair guarantees that parts or materials used are of the first quality. Those parts or materials are subject to the guarantee of that supplier. We will assist you in handling any claim under the supplier’s guarantee. We guarantee that used parts or other than original equipment manufactured parts were not used without authorization from you as noted on the Repair Order. All auto collision repairs require parts of some kind. This section of the warranty basically says whatever the parts manufacturer warranties the part for, that is what warranty you get from the shop, which in all honesty is fair enough. However it would be nice to know what those parts warranties are. For brand new sheet metal parts it is one year. Salvage parts warranties are usually thirty days. In essence what you are getting in your written warranty is a guarantee from the paint manufacturer if you meet all their criteria, a craftsmanship warranty on the work done by the auto body repair shop technicians, and whatever short parts warranty comes with the parts that are used. This is not to say that you are being scammed. 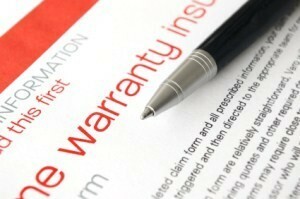 However the written guarantee is written in such a way that as your car ages so does your warranty. It looses its coverage as time wears on just like the original manufacturers guarantee. I should note however, that I have been in junkyards and seen cars with faded paint jobs and shiny fenders and doors that were clearly repaired at some point in the car’s history. So there is a good chance that your repair work will long out live the car itself. I was extremely pleased with my experience at glens express collision from the friendly staff to the updates on the progress they were making on my vehicle. I was also pleased with them completing the job on time.thanks to all of you.